If there’s one thing that has drivers grumbling more than anything, it’s their car’s fuel economy. 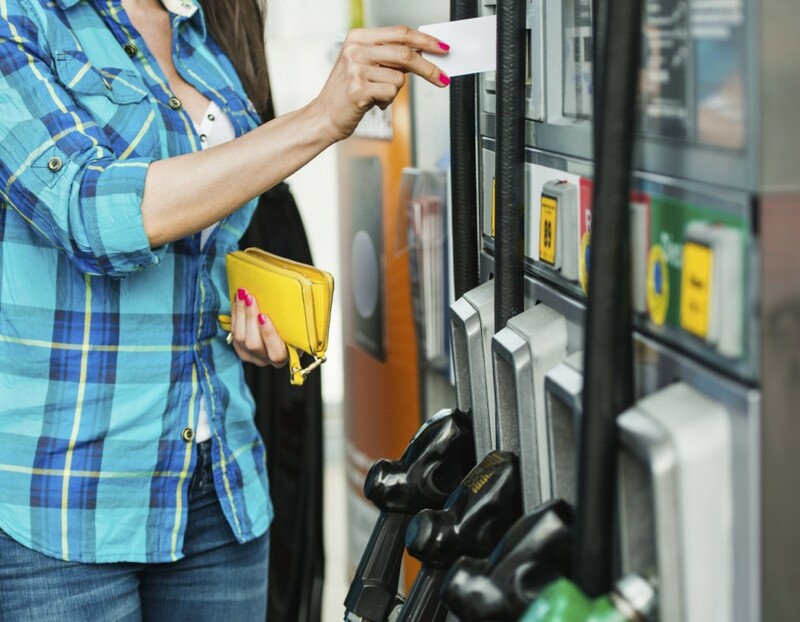 How many miles a car travels on a gallon of petrol or diesel – or in some cases, with a little bit of electric power in the mix – directly drains money from the bank. The more thirsty a car is, the more expensive it is to run. A common complaint is that it is difficult to achieve a car’s advertised fuel economy. But wth a bit of practice and a change in driving habits, it’s surprising how much of an improvement can be made to a car’s mpg (miles per gallon) in a short space of time. To see if you have a sound grasp of those driving techniques, or to simply learn more about making a car travel further on a tank of fuel, take this quiz and discover whether you’re a fuel economy winner or loser. Congratulations! You’re an eco driving expert. You need to brush up on your eco-driving skills. #1 Which description best sums up the contents of your car’s boot? #2 What should you do to your tyres to help ensure good fuel economy? What a load of hot air! Tyres should always be inflated to the air pressure recommended by the vehicle manufacturer. Check the car’s user manual for more information. #4 Windows and air conditioning: what do the experts recommend drivers do? Fergal McGrath set a Guinness World Record for averaging 100mpg when driving across 24 EU countries. His car, a completely standard Honda Civic Tourer 1.6 i-DTEC, was only meant to be capable of 74.3mpg. He advises drivers to turn off air conditioning and open windows just a fraction. #5 What’s a good driving technique for improving a car’s economy? Try following the advice of Paul Clifton. At last year’s MPG Marathon, he smashed the event’s record, achieving 122mpg in a humble Ford Fiesta 1.5-litre diesel – officially rated at 80mpg. He says motorists should use the highest gear at the lowest possible speed for the longest time they can. #6 What else is key to a car returning good fuel economy? That’s not the way to do it. Try this tip from Paul Clifton, a winner of the MPG Marathon. He suggests creating a bubble of safety around you, by looking as far ahead as you can and making decisions a long way in advance; you need to aim to arrive at gaps in traffic, go for green lights and be ready for the unexpected. #7 Should you dip the clutch when coasting? According to Fergal McGrath,who set a Guinness World Record for fuel economy, dipping the clutch when a car is coasting, or selecting neutral, is a mistake and could be dangerous. Modern engines have sophisticated computers that know, for example, when a car is going downhill. So you simply lift off the throttle and leave it in a high gear, and the computer cuts fuel to the engine. #8 How often should you have your car serviced to ensure it runs efficiently? That’s a false economy. Cars depend on regular servicing to ensure they run efficiently and remain safe to drive. #9 What does a car’s stop-start system help with? We’ll forgive you if you don’t have such a system on your car. It helps prevent inefficiency when the vehicle stops in traffic, by switching off the engine, then restarting it automatically when you need to drive on. #10 On a cold day, should you warm up a car’s engine before driving? Common sense is one of the best ways to save fuel when driving,do not be erratic when making any mannovers. Question 5. All very well on an economy run, but you’re getting to get a big DPF bill if you run a diesel like this all the while. The answer to question 5 in the quiz is not suitable for diesel engines. If a diesel is driven in the highest gear at the lowest rev’s, the DPF will not be working to it’s full potential and will become clogged with soot and ash. causing a certain failure in future MOT’s. A diesel is best driven above 1500 rpm in any gear, to ensure this garbage is burnt off. The minor affect on the drivers fuel bills would be offset by the huge saving on costs for a new PDF and it’s fitting. In question 4 where does it say anything about saving fuel? I have an auto hybrid. mileage is pretty much pre determined but less pedal power is probably better. if fitted use cars cruise control where safe to do so On a long run will greatly improve MPG.Is also usefull for keeping to speed limits, takes stress out of worrying about pressure from driver behind ,cars doing it,not me, less likley of being done for speeding. Surprised at the air-conditioning question’s answer. I would have thought any opening of windows would cause a increase of wind resistance.